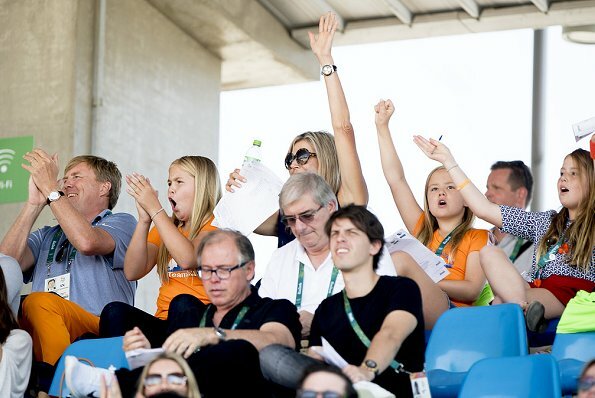 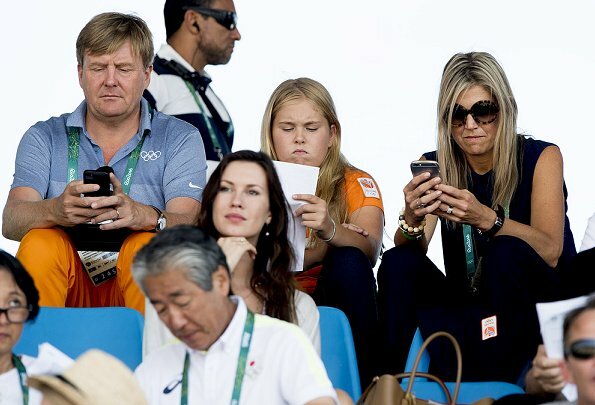 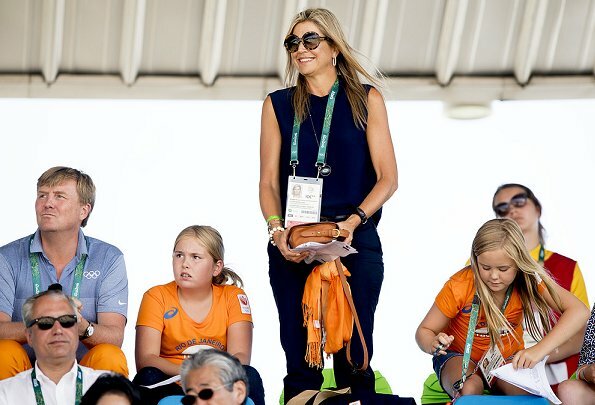 On August 16, 2016, King Willem-Alexander and Queen Maxima along with their daughters, Crown Princess Amalia, Princess Alexia and Princess Ariane of The Netherlands are seen in the stands during the Equestrian's Show Jumping of Netherlands' Jeroen Dubbeldam at the Olympics in Rio de Janeiro, Brazil. 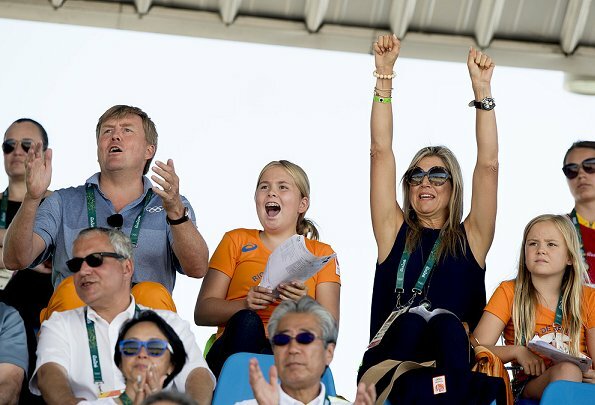 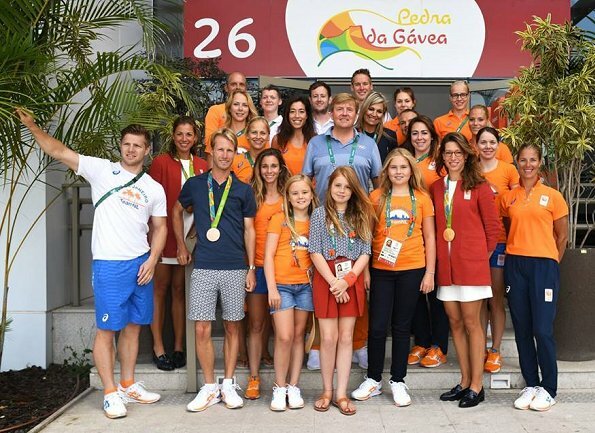 On August 16, 2016, King Willem-Alexander and Queen Maxima with their daughters, Princess Amalia, Princess Alexia and Princess Ariane visited Olympic Village in Rio. 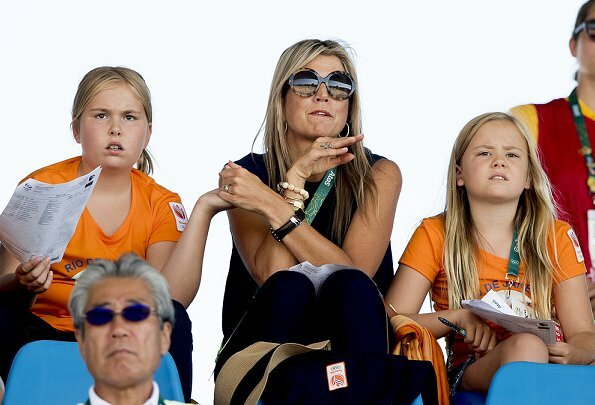 They were at Gymnastics yesterday too cheering on a male gymnast on High Bar- the NBC commentators pointed them out and the camera panned to them a couple of times.